Do I want enough room to house out of town friends and family when they visit or would I prefer that they stay in a hotel? How much time and expense do I want to devote to keeping this house clean? Do I want to host large family gatherings around the holidays or is it time to pass that baton to the younger generation? If I am the younger generation, am I ready and willing to take that over? How much time will I spend preparing meals and what size kitchen would I like? Does this home have adequate storage space and organizational elements? Will the number of family members living in this home be getting significantly bigger or smaller? What is my budget for purchasing a home, as well as for monthly operating costs? Assess the home you are currently living in. What do you like about it? What can you definitely do without? Take stock of how you are living now and how that might change in the future. For instance, your home office may be a must right now if you are still working. If retirement is on the horizon, will you need a separate room for use as an office or will a cleverly designed, built-in desk area with storage space be adequate? Don’t forget to assess your outdoor space, as well. Do you really need that big yard? Perhaps a smaller lot in a neighborhood that offers an exterior maintenance package is the key to freeing up your precious leisure time. This can be true at any age. Young families with children often have such a busy lifestyle that yard work simply takes up too much time and effort. Older folks may prefer to travel instead of worrying about cutting the grass and shoveling snow. At some point these things can become too cumbersome and better left to someone else. Assess your finances. Look for the right size home that not only meets your needs but doesn’t put a strain on your budget. Don’t forget utility costs and furnishings. Remember that it’s not just what it costs you to buy a new home that’s important but how much it will cost you every month to run it. Look to the future. Most likely you do not want to have to move again in the near future. What is your 5 year plan? Your 10 year plan? Of course, life often throws a curveball. Children, Boomerang kids, aging parents, and health issues can all present unexpected changes in your housing needs but have a basic plan in mind that will allow you stay in your home and live comfortably for years to come. Bigger is not always better. Resist the urge to go big for the sake of owning a huge home. Consider the floor plan and how it flows. Older homes can often have a cut up floor plan and rooms like the formal Living Room, which most people no longer use. Wouldn’t it make more sense to find a home that gives you space in the areas you spend the most time in? Look for that unique, right size home designed for maximum functionality; one that makes use of every inch of space. When done correctly, less is more. Be practical. Sure, you’ve always dreamed of having a home theater but is the extra square footage and expense worth it or would it be more practical to go out to the movies or stream Netflix on a large TV screen mounted on the wall? Be realistic. If, like most people you are on a limited budget and you’re thinking man cave, 4-car garage, and massive bedrooms with ensuite baths, perhaps it’s time to stop and prioritize those things that you must have and those that you can forgo. You can always add a man cave later on in your basement. If that’s the plan, be sure to plan ahead and make sure that the basement has legal egress; some way you can exit in case of an emergency. Most municipalities now require legal egress in basements, especially if there is a finished area. Be flexible. Is a separate hobby room or sewing room absolutely necessary or could an area somewhere in another room accommodate space for these activities? Adaptability is key to the right size home. Think resale value. 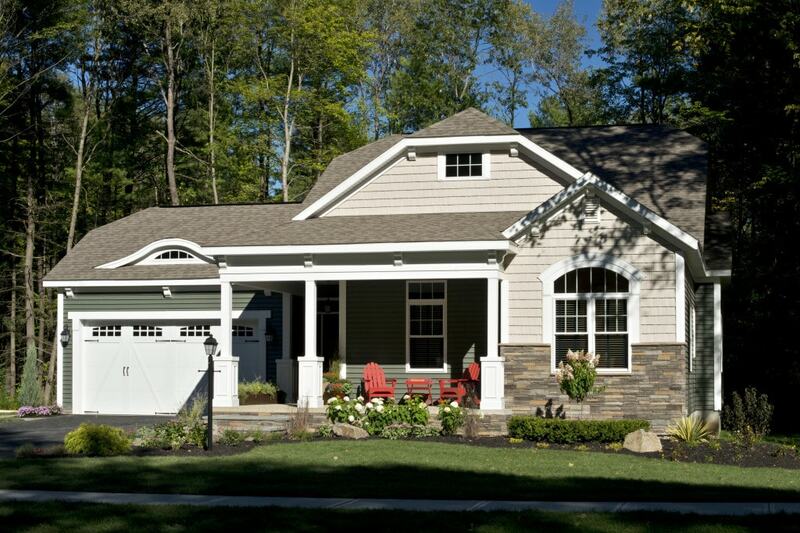 The day to consider your home’s resale value is the day you decide to purchase it. Whether it’s your first home or your last, we all want our home to appreciate in value. It’s part of the American Dream. With the trend towards artfully crafted smaller homes that are more functional than less well-thought out larger plans be sure to take resale value into consideration when purchasing. 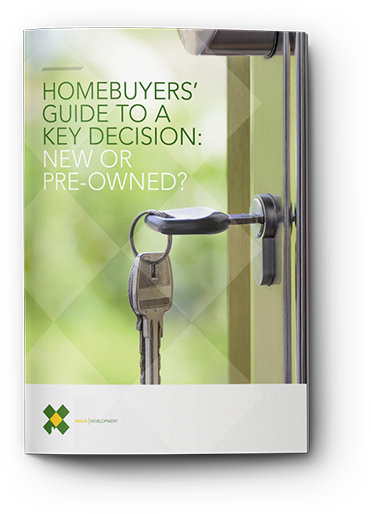 Your home is likely to be your most significant investment and an increased demand for and a severe shortage of home inventory means greater resale value for newer homes. More than ever, look to new construction that appeals to today’s homebuyer as an excellent investment. What if you could modify the floorplan? For a floor plan that has everything you need and is the perfect size for those needs, consider new construction to get exactly what you are looking for. Some builders will allow you to tweak an existing floor plan to make it uniquely you. Also, new home builders are on to the “rightsizing” trend and offer homes that make sense to today’s lifestyle. In addition, they often feature clever design items such as built-in cabinetry that take the place of big furniture and open floor plans with volume height ceilings that lend a feel of grandeur to a smaller home. Trust your instincts. If you see the right size home that also “feels right,” more than likely that is the home for you. When it comes to home buying, there is no one-size-fits all solution. Simply stated, this is your home. This is where you will live and entertain your loved ones. Hopefully these tips have been of some help, but the final decision is yours and yours alone. Are you ready to “rightsize”? Let Homes by Malta Development show you how easy it is to find the right size home that meets all of your individual needs! There is something for everyone at every stage of life.